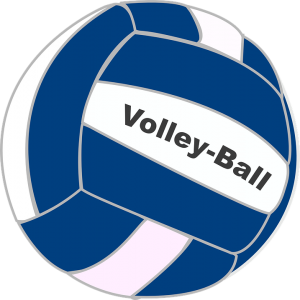 The Culver City Volleyball Club will be offering intermediate and high-performance summer volleyball camps for youth at the Culver City middle and high school gyms this summer. Martin Feinberg, Realtor, is excited to see community members taking an interest in Culver City youth. Session One will take place on June 19-22 from 4-7 p.m. Youth attending this session will learn the fundamentals of passing, serving, setting and hitting. According to camp director Marty Siegal, this camp is intended for those with little to no volleyball experience who are hoping to make club or competitive school teams in the fall. Siegal is a former Culver City High volleyball head coach and athletic director. Culver City Real Estate includes Culver City High School. For those youth who have limited experience in school or with beach volleyball or have had one or two years of club experience, Session Two will run from July 10-13 at 4-7 p.m. It will cover more advanced transition skills. Session Three, the final session, will be for those who are going to be playing on middle school or high school teams. It will take place on July 17-20 from 8:30-12:30 p.m. It will cover more advanced transition skills. “Summer participation is an excellent path to improving your game, making new friends, and getting to know your coaches,” said Siegal. Beginning and Intermediate Camps are $175. High performance camp is $200. Siegal would like players to wear proper volleyball clothing and bring snacks and bottled water to each day of camp. For more information call Marty Siegal at 310-488-6811. You can also email at masiegal@cox.net. Registration fees should be payed to Culver Volleyball Club, P.O. Box 5354, Culver City, CA 90232. Martin Feinberg, Culver City Realtor, wishes all current and future youth volleyball players lots of luck in improving their skills and achieving their goals.